It is a sad fact that with each day, the air we breathe is not as clean as it once was. Going indoors for cleaner air can’t even be a solution in some instances. Dust, pet hairs, cooking smells, smoke from cooking and cigarettes – these are just a few examples why it can also be difficult to breathe indoors. Because of this, having an air purifier in the home or office has become a necessity. If you are thinking of making a good investment in your home, you should definitely consider getting home air cleaner. 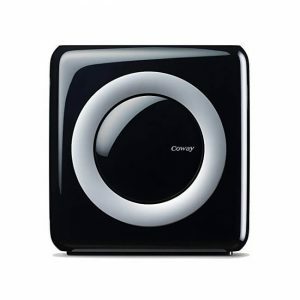 Equipped with cutting edge features, including 4 stage filtration system comprised of pre-filter, carbon, true HEPA filter and Vital Ion, the Coway AP-1512HH Mighty air purifier will efficiently keep your indoor air clean. 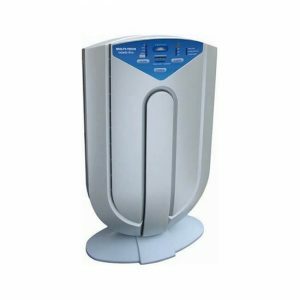 Many health expert and professionals at preventing and curing allergies are quite to note that one of the best air purifiers for allergies are those with HEPA filters. It is recognized as simply the most effective when it comes to the removal of many known allergens in one’s home. True HEPA Filter is effective in removing up to 99.97% of air particles such as pollen, dust mites, mold spores, germs, and other allergens as small as 0.3 micron, in addition, Coway also has carbon filter which can remove larger particles safely, as well as cigarette smoke and other odors. The Winix 5500-2 Air Purifier features three things that makes it one of the top filters available today. Firstly, it features a long life True HEPA filter, for those with allergies, this would definitely mean no runny noses in spring and summer. This air cleaner also deodorizes the air with its Odor Reducing AOC Carbon Filter, formulated to remove odors indoors from cooking and smoke. Lastly, it also features PlasmaWave Technology which attacks pollutants at the molecular level. It eradicates bacteria, chemical vapors, and viruses, resulting in cleaner air without adding in ozone, which can be harmful. With these three features combined, the air is made clean, fresh, and devoid of harmful pollutants, annoying allergens, and unpleasant odors. 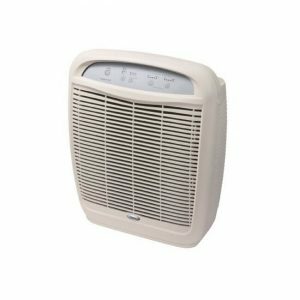 If you are sick of spending money on allergy pills to relieve your symptoms, or air freshener for ridding your home of unwanted odors, invest in a Whirlpool Whispure AP51030K air purifier. Whirlpool has designed a three-stage air purifier comprised of a pre-filter, carbon filter, and a true HEPA filter that guarantees to remove 99.97 percent of airborne filth and dirt particles as small as 0.3 micrometers. 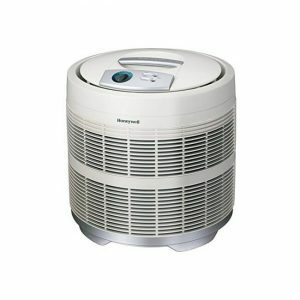 The Honeywell 50250-S is a round-shaped air purifier, measuring 18 x 18 x 19 inches, designed for rooms that are up to 390 square feet in size. It features a HEPA. This air filter is capable of removing dust, mold spores, pet hair, and tobacco smoke particles from the air, and even some viruses and bacteria. Aside from the HEPA filter, it also has a carbon activated pre-filter which helps extend the lifespan of the HEPA filter. The HEPA filter should be replaced in 3 to 5 years, depending on the level of dust or air pollution indoors. Meanwhile, it is also recommended that the carbon pre-filter should be replaced every 3 months. Whether you need to rid your home of unwanted odors or relieve your allergy symptoms, the Surround Air XJ-3800 Intelli-Pro may be the perfect solution for a cleaner living environment. 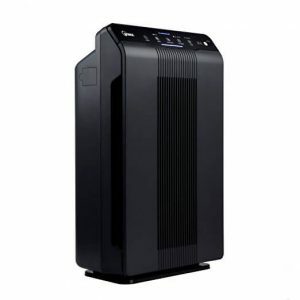 The technology of the Intelli-Pro places it at the top of air purifier reviews. The complex system cleans 99.97% of all airborne particles through a HEPA filter. Тhe Surround Air uses a seven step method of filtration. Pollen, pet dander, dust and other minute particles in the air are small but terrible nuisances if you are allergic to them. With an air purifier, you can breathe easier and not worry about sneezing fits or swollen eyes because of your allergies. These small particles in the air can also cause asthma attacks. If you have asthma, an air purifier will make it possible to have less and less asthma attacks. With lesser allergy and asthma attacks, your medical expenses will be reduced. Even if you don’t have asthma or allergies, an air purifier means having healthier lungs, which therefore translates to a reduction and even elimination of certain medical costs. Our daily activities inside the home or workplace have an impact in air quality. Cooking smells, pet smells, paint fumes, and smoke are easily eliminated with a good air purifier and everyone can enjoy cleaner and fresher indoor air. Air purifiers come in various types, each type is designed to target a specific concern when it comes to indoor air quality. An adsorbent air purifier uses the process of trapping one substance in the surface of another substance or adsorption. The most common adsorption material used in air purifiers is activated charcoal. Activated charcoal traps air particles in its pores, using electrostatic attraction to draw in and bond particles to its surface. An ionizing air purifier uses the corona discharge method. The air purifier creates an intense electrical field which in turns creates negatively or positively charged molecules or ions. Particles in the air such as dust get ionized and clump with each other and eventually becoming too heavy to float around in the air. A filter type air purifier uses filters or air cleaners to trap particles and remove them from the air circulating indoors. Generally, the denser the filter, the better it is at trapping smaller particles. Filters, which are usually made of cotton, fiberglass, foam, or a blend of synthetic fibers, must be replaced or cleaned regularly to make sure that they are working properly. An ozone type air purifier alters molecules much like the ionizing type, turning oxygen molecules into ozone. Makers of these air purifiers say that ozone disinfects and deodorizes indoor air, aside from having other health benefits.